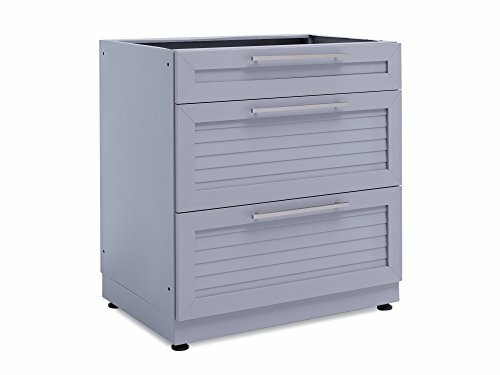 The Outdoor Kitchen Aluminum 3-Drawer Cabinet in Coastal Gray gives you the convenient storage space you need for organizing hosting supplies, games and toys, and serving utensils. 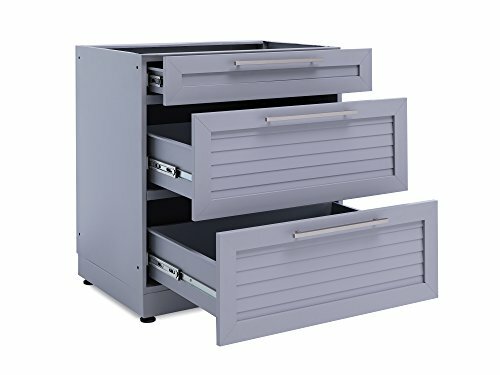 Two extra deep drawers on soft-close drawer slides smoothly open to full-extension for completely accessible space, and easy-grip handles provide quick drawer access even when your hands are full. 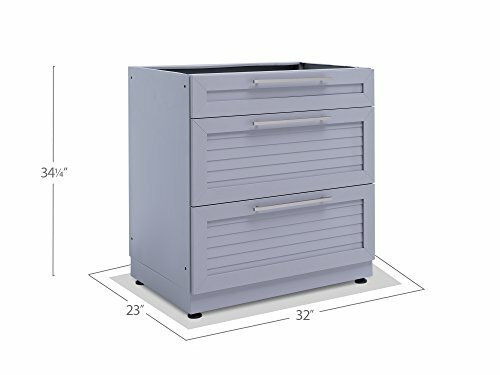 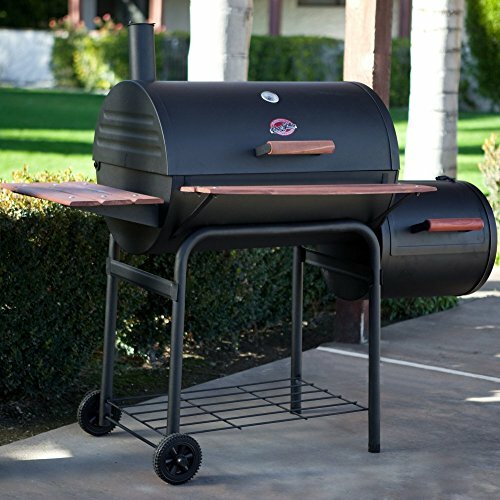 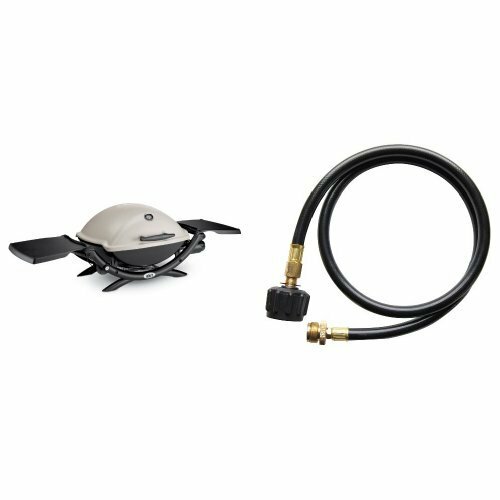 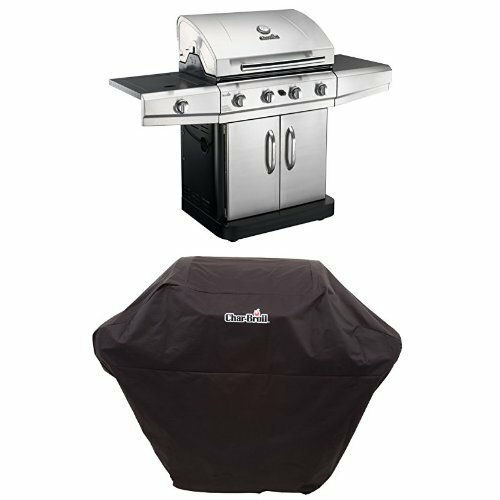 The fully assembled cabinet is built with aircraft-grade aluminum for supporting heavy weights, and can easily handle stacks of dishes, bags of charcoal for grilling, and anything else you can throw at it. 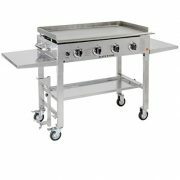 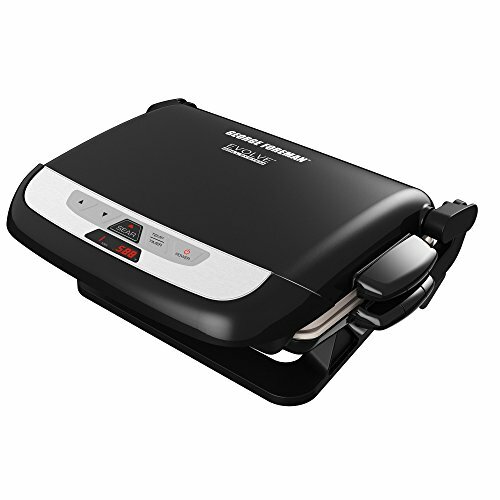 The top drawer includes adjustable steel dividers for separating cutlery and utensils, and easily organizing small items like skewers and BBQ lighters. 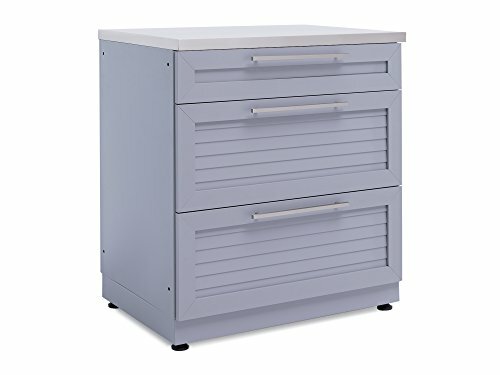 For the convenience of a stocked kitchen, right in your backyard, the Aluminum 3-Drawer Cabinet in Coastal Gray is your ultimate storage solution.